Sunroof, Rear Camera, 2 Owner Clean Carfax, All New Brakes/Tires, Right Color!! 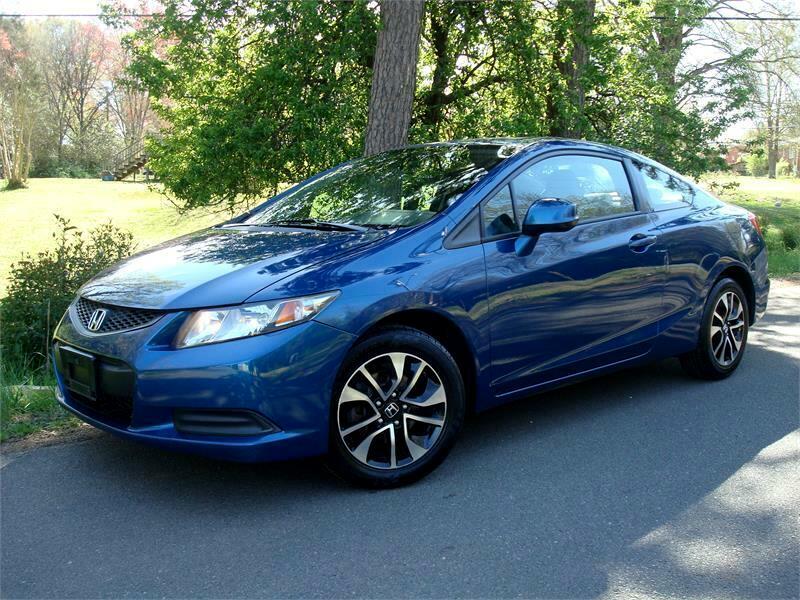 Refreshed for 2013, the Honda Civic Coupe is a compact car with seating for five. It comes with a 1.8-liter i-VTEC 4-cylinder engine (140 hp) mated to a 5-speed automatic transmission. Fuel mileage falls within an EPA estimated range of 22 mpg city to 39 mpg highway. Safety is comprised of anti-lock braking system (ABS), electronic brake distribution (EBD), multi-stage airbags, traction control system (TCS), vehicle stability assist (VSA), and tire pressure monitoring system (TPMS). Features include 16-inch alloy wheels, steering wheel mounted controls, Bluetooth hands-free phone capabilities, 7-speaker audio system, USB audio interface, SMS text messaging, and rearview camera with guidelines. It comes as a 2 owner clean Carfax Coupe with all new rotors/pads, tires & fresh service!! Visit Burnout Garage online at www.burnoutgarage803.com to see more pictures of this vehicle or call us at 803-366-7230 today to schedule your test drive.